Dutch doors were a practical way to keep a house cool while keeping children in and animals out. 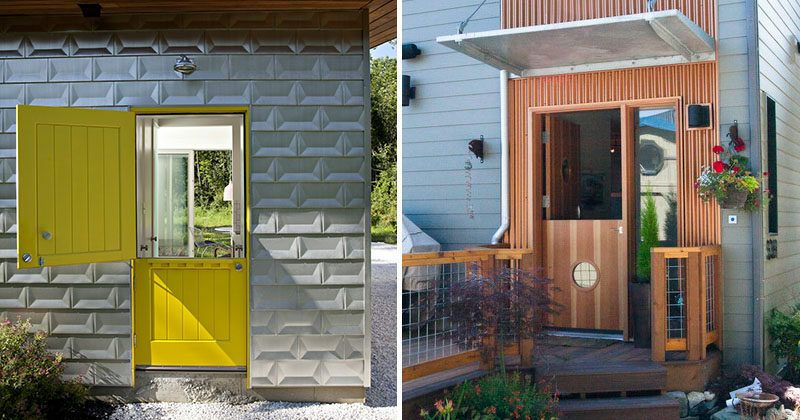 Although Dutch doors are associated primarily with traditional farm house style homes, the unique doors are making their way into modern design as well. 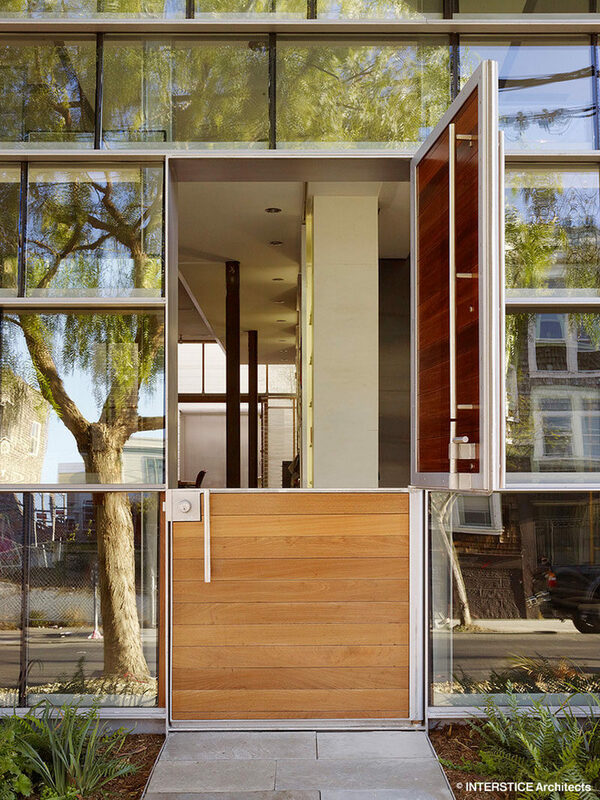 Here are 9 examples of Dutch doors that have been incorporated into contemporary homes. 1. 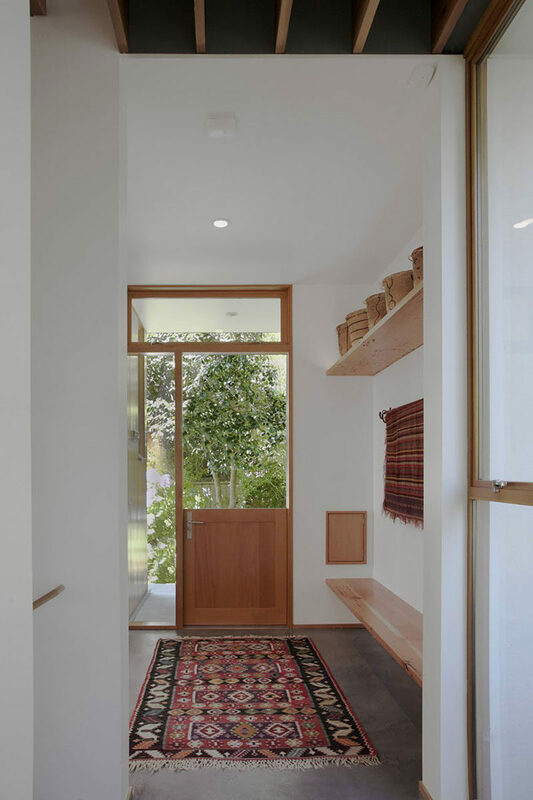 This door can be opened three ways – just the top half open, both halves of the door open, or the whole doorway can be opened up entirely to welcome people into the bright home. House designed by deForest Architects. Photography by Benjamin Benschneider. 2. The doors leading out to the back patio of this home have been divided in half to keep animals and kids inside while still allowing them to see out. 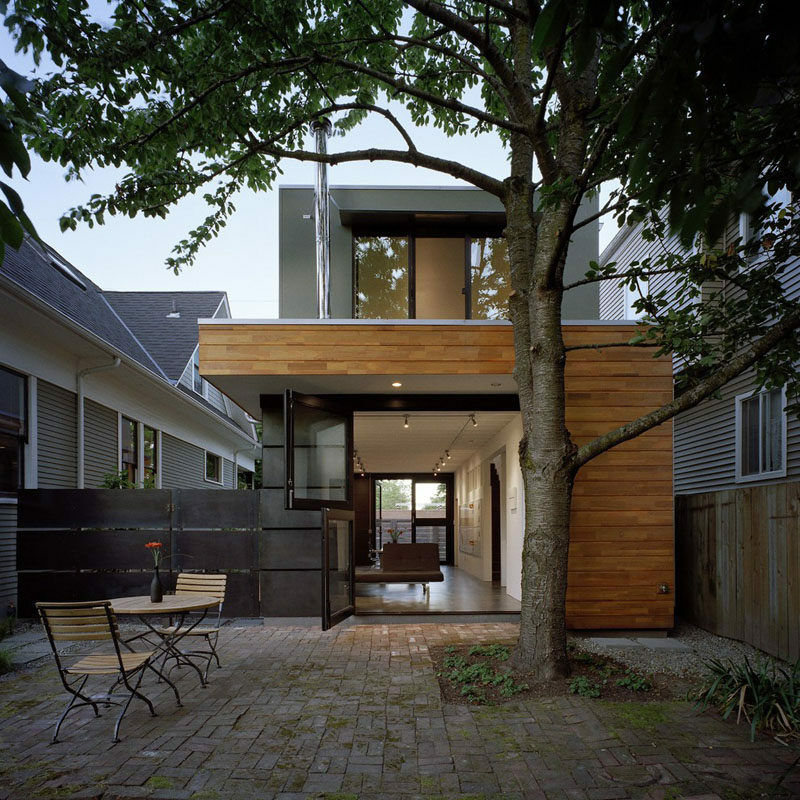 House designed by Chadbourne + Doss Architects. Photography by Benjamin Benschneider. 3. This modern mud room features a Dutch door that lets in a nice breeze when the top half is left open. House designed by SHED Architecture & Design. Photography by Mark Wood. 4. 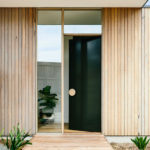 Various shades of wood and a circular window on each half of the door, makes this door blend in with the copper siding used around the house. House designed by FabCab. Photography by Matt Wright. 5. This tall wood Dutch door has a long handle that meets perfectly where the doors divide making it look like a completely solid door. See more photos of this house, here. 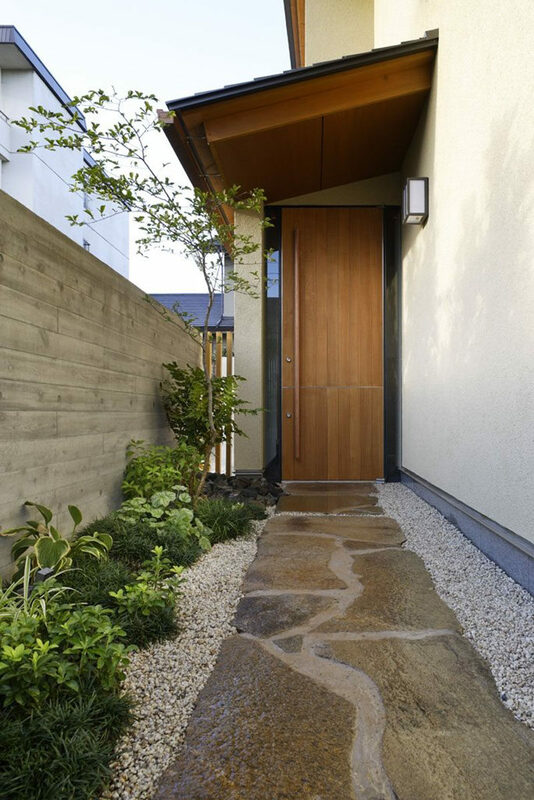 Designed by TSC Architects. 6. 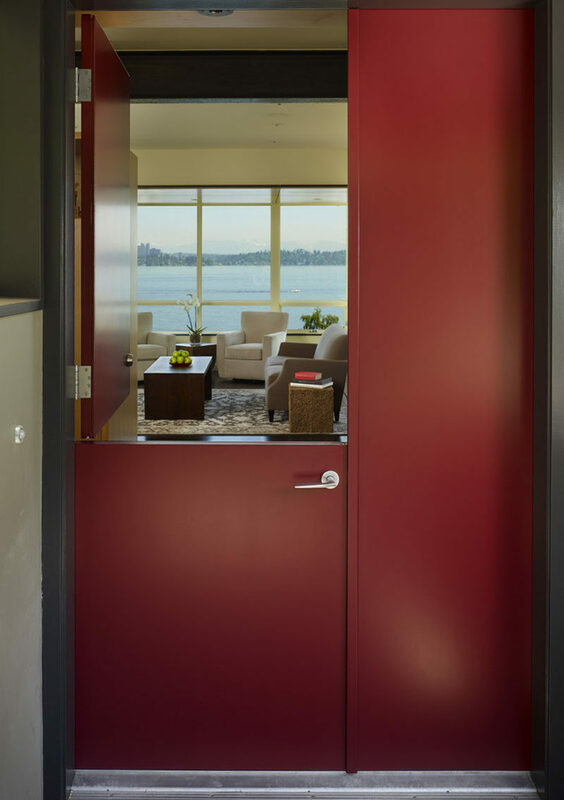 This modern Dutch door, surrounded by walls of windows, opens up the front of the home and allows in natural light and lets fresh air flow into the home. 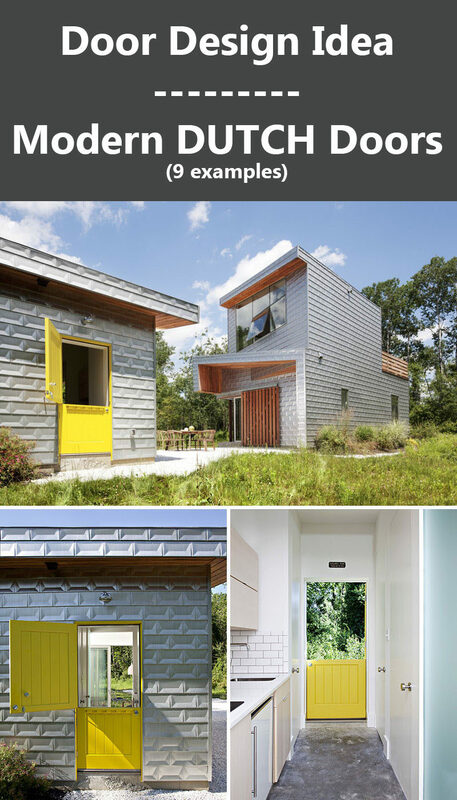 House designed by INTERSTICE Architects Inc. Photography by Matthew Millman. 7. A bright green Dutch door greets people as they arrive and brightens up the entry way of this modern home. House designed by Christiano Homes. Photography by Todd Tankersley Photography. 8. 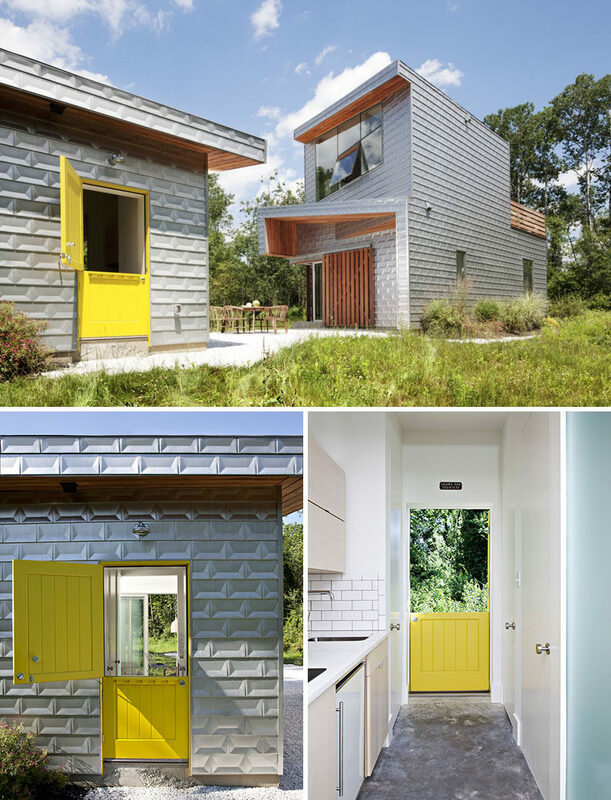 A friendly yellow Dutch door welcomes guests to this guest house and fits with the modern country home theme the designers were aiming for. See more photos of this house, here. Designed by Grzywinski+Pons. 9. 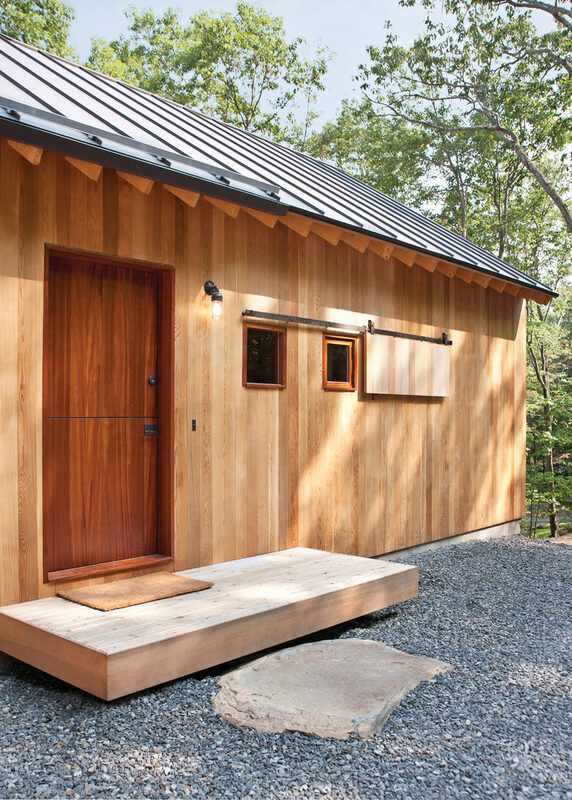 This dark wood Dutch door is the entrance to the guest house located just off the luxurious main home tucked into the forest. See more photos of this house, here. 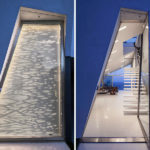 Designed by Lang Architecture. Photography by Deborah DeGraffenreid.